I’m working on a new collection today that includes a bunch of doodles we did for a corporate client. The client didn’t end up using them so why let them go to waste. I’ve just started tweaking them for licensing. I think I will bring this one home to show my girls, I am sure they can add a bunch of fun stuff. I know I am missing some hash tags and yolos in there. What else should I add? I’ll show you the final version when I finish it but here’s a sneak peek of where I am now. 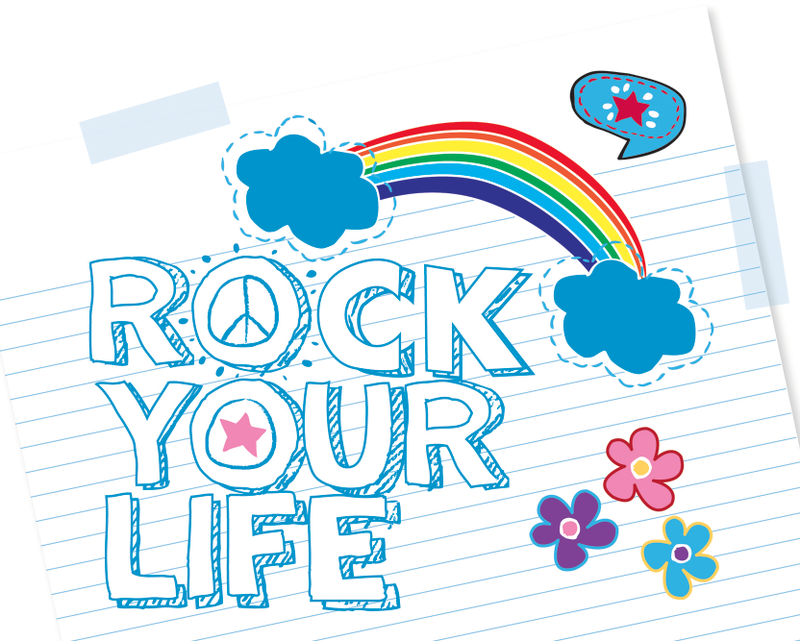 We did design another doodle collection called Rockin Rainbow that is on lots of fun products at Frecklebox.com, check them out or see my previous post about the collection!